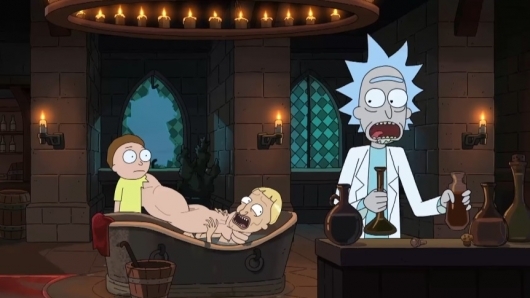 We know we’re in for a lengthy wait before Rick and Morty season four makes its way to our eyes, so the best way to pass the time is to of course re-watch the previous three seasons over and over again. If you’re the type of person who prefers to own episodes so you can watch them whenever you please instead of waiting for them to re-run on Adult Swim, the release date and special features for the Rick and Morty season three Blu-ray and DVD have been announced. You can find all of the information below. America’s favorite crazy scientist returns when the newest season of the hit Adult Swim series Rick and Morty: Season 3 arrives on Blu-ray™ and DVD on May 15. From creators Dan Harmon (Community) and Justin Roiland (Adventure Time), the award-winning comedy features out-of-this-world antics, taking fans on a collection of intergalactic journeys across the multi-verse. Featuring all ten episodes from the latest season, Rick and Morty: Season 3 boasts 220 minutes of outrageous animation and numerous never-before-seen bonus features including newly produced, exclusive commentary for all 10 episodes with special guest commentary from the show’s voice talent such as Chris Parnell (Jerry) and stars like John Mayer. The Rick and Morty: Season 3 Blu-ray™ and DVD release also includes exclusive animatics for every episode, giving viewers a glimpse into the creation of their favorite animated characters; “Inside the Episode” for each episode; the origins of Rick and Morty; and an exclusive “Inside the Recording Booth” session. 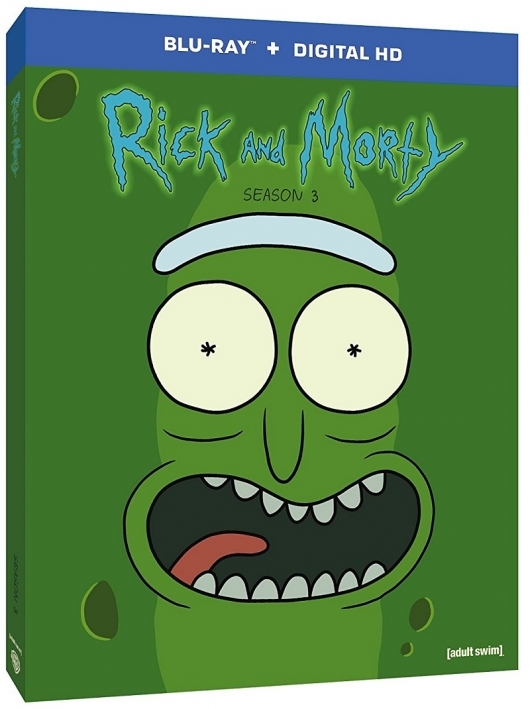 Rick and Morty: Season 3 special editions will be offered at both Best Buy and FYE; with Best Buy offering an exclusive Steelbook on Blu-ray™ only and FYE providing an exclusive series poster with purchase of either Blu-ray™ or DVD. If interested, you can pre-order your copy on Blu-ray or DVD over at Amazon now. And be sure to click right here for much more on Rick and Morty. HBO To Build ‘Westworld’ Town For SXSW 2018; Roman World Teased? • ‘Rick and Morty’ Season 4 Confirmed As Adult Swim Orders 70 New Episodes — Yes, 70!